OAKLAND, Calif. (KGO) -- The Warriors issued a statement Friday afternoon that Golden State Warriors superstar Kevin Durant would miss the next two weeks of play due to a rib injury. "Kevin Durant underwent an MRI today that revealed an incomplete rib cartilage fracture. 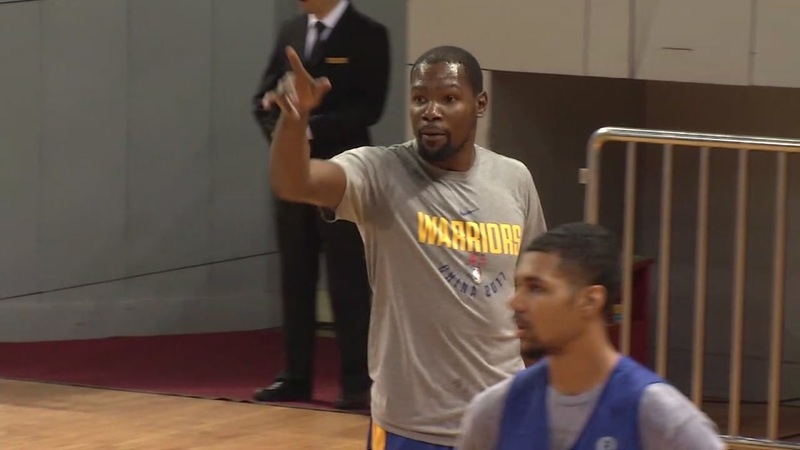 He will be re-evaluated in two weeks," said a Warriors spokesperson. ESPN reports that Durant has been ruled out of Friday night's home game against the Sacramento Kings with sore ribs. The Dubs are struggling with other injuries as well but some players are returning. Draymond Green missed Wednesday's game with a sore shoulder and David West was out Wednesday with a right arm cyst. Both will play in Friday's matchup against the Kings. Steph Curry, who has been struggling with ankle issues, and Klay Thompson, who fractured his right thumb, are still out. Curry is scheduled to have his ankle re-evaluated next week. Thompson is expected to miss at least three more games.